A Palestinian journalist was wounded in the head by settlers on Friday morning in Hebron, according to witnesses. Ma'an's correspondent reported back that a number of settlers had attacked Palestinians near the Jewish settlement of Kharsina, north of Hebron and that it resulted in the injury of journalist Hazem Bader. He was hit in the head and he taken to a hospital for treatment, witnesses said. Seven protesters including two French peace activists were injured by Israeli soldiers who fired live ammunition at a group of protesters at an anti-wall demonstration in the West Bank city of Bil'in near Ramallah. Among the protesters were Italian Euro-MP Luisa Morgantini and British Liberal Democrat Chris Davies, who was beated by Israeli soldiers. Residents of the village took into the streets alongside international peace activists after the Friday prayers as has become customary over the past three years. 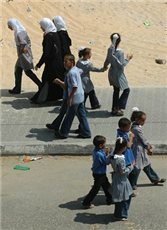 This week protesters commemorated the 52nd anniversary of the Kafr Qasim massacre, where Israeli police killed 48 Palestinians in one evening; as well as the 91st anniversary of the Belfour declaration in which the British government declared that Palestine could be a homeland for the Jewish people. The protestors carried Palestinian flags and chanted slogans denouncing the Israeli occupation and its acts of land confiscation; for the construction of the wall, settlements and the installation of checkpoints; for assaulting Palestinian prisoners and killing civilians. Morgantini spoke to the gathered protesters and expressed European solidarity with Palestinians who have the right to struggle against the construction of the separation wall and the right to live in freedom. Both Morgantini and Davis were attacked by the Israeli soldiers, and Davis sustained mild injuries. After reaching near the wall, the soldiers closed the gate installed in the wall to prevent the demonstrators from passing into the village lands. When they proceeded towards the gate Israeli soldiers opened fire with live bullets, sound bombs, tear gas canisters and rubber-coated metal bullets. Dozens suffocated on tear gas and seven were injured including two French nationals, journalist Maysun Azzam, correspondent of Al-A'rabeya Satellite channel in Palestine and Iyad Burnat, Adeeb Abu Rahmah, Kamal Kamel Abu Rahmah and Abdallah Abu Rahmah. The protest was also participated by delegations from France, Belgium representatives of solidarity movements with the Palestinians who listened to detailed explanation from the popular committee on Bil'in's anti wall experience. Earlier this week a media representative for the British and European politicians who participated in the rally sent a press release stating that the two would be participating in the rally in nearby Ni'lin in advance of their European Parliament delegation visit to Ramallah. They attended the Bil'in rally. Israeli navy ships fired on activists assisting Gaza fisherman on Friday, according to a member of the Palestinian Legislative Council (PLC). PLC-member Jamal Al-Khudari, who is also the head of the Popular Committee to Break the Siege on Gaza, claimed that Israeli navy boats fired toward the activists on Friday afternoon. "Israeli navy boats fired on [the activists] intensively while they were helping the Palestinian fishermen," he said in a statement. "This incident is a violation of the rights of Palestinians to use their territorial water," Al-Khudari added. Israeli navy ships were "attacking the fisherman and preventing them from gaining their daily livelihood," on Friday, the PLC member said. He called for international and Arab human rights organizations to intervene and "stop such attacks," including attacks against the group that came in solidarity to break the ongoing siege on the Gaza Strip. 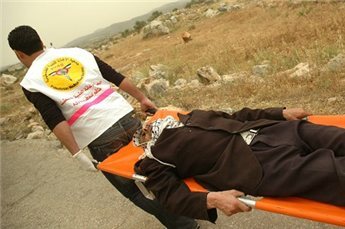 Four Palestinians were shot by Israeli forces at an anti-wall march in the village of Ni'lin, near Ramallah, on Friday. Ni'lin Mayor Ayman Nafe told Ma'an that the Israeli army attacked marchers on Friday, injuring 18-year-old Muhamad Imad Tantur, breaking his hand, and 28-year-old Khamis Umirah, who also was shot in his hand. 20-year-old Sa'ad Ibrahim Umirah was shot in the face with a rubber-coated steel bullet, while 20-year-old Ala Ali Khawaja suffered a shot to the back, the mayor said. Mayor Nafe added that 200 worshipers, solidarity activists and Israelis attended the march. 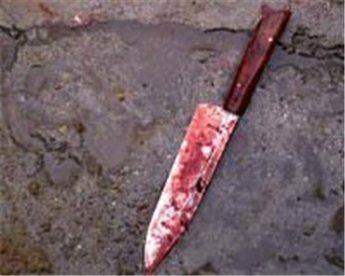 Two Palestinian workers sustained moderate injuries after being stabbed in a bakery in the Talpiyot neighborhood near Jerusalem on Friday. Radio Israel reported that two Israelis stabbed the Palestinians, who were working in the bakery, claiming that "[the Palestinian workers] refused to give us bread." 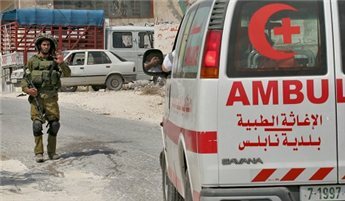 The two Palestinians were transferred to a hospital for treatment, according to Israeli press reports. Israeli police said units were investigating the incident. Palestinian sources said clashes erupted on Friday morning between Palestinian resistance fighters and the Israeli military east of the town Khuza'a near the city of Khan Younis, in the southern the Gaza Strip. The sources said that at 6:00 am there was gunfire between Palestinian resistance and Israeli forces and the sounds of "percussion grenades" were clear in the area. 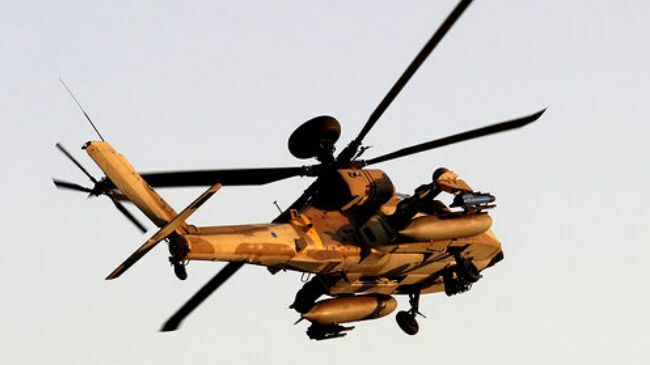 The sources also said in an interview with Ma'an that "Apache helicopters arrived to the region during the clashes and Israeli army opened fire on houses without causing any injuries." No Palestinian factions claimed responsibility for the fighting thus far. Israeli sources announced on Friday that an Israeli military patrol was attacked in Khan Younis, in the southern the Gaza Strip. The Israeli sources added that there were no casualties among Israeli soldiers. Invading Israeli soldiers shot and killed a 67-year-old Palestinian farmer in the northern West Bank town of Al-Yamun on Wednesday morning, witnesses said. Witnesses said the man, Muhammad Abahra, heard noise near his agricultural storehouse, and as he went out with a hand lantern to check, he saw Israeli forces besieging the area and ransacking his neighbors' homes. They immediately shot him dead. 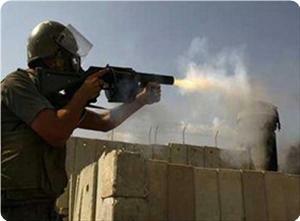 The witnesses added that Israeli forces stormed several homes leaving Abahra to bleed to death. 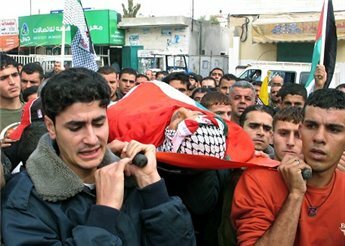 Abahra's son, Warrad was also killed by Israeli forces on 9 July 2005. Separately Israeli forces seized 11 Palestinians during overnight raids in Nablus, Qalqilia, Jenin and Ramallah in the West Bank. They claimed a Kalashnikov machinegun was found with one of the arrestees in Salfit in the northern West bank. Israeli forces detained a young man on Wednesday evening at the Al-Hamra checkpoint near Nablus, witnesses told Ma'an. Several people at the scene also reported that Israeli soldiers fired shots at the young man before seizing him, Ma'an's correspondent in Nablus reported. According to eyewitnesses, Israeli soldiers set up roadblocks near the Al-Hamra checkpoint, making hundreds of people wait in the heavy rain. One of the soaked Palestinians apparently jumped from the line in an attempt to run around one of the barriers as soldiers opened fire, missing him. They did detain him following the gunfire, however, and he was taken to an undisclosed location. Aziza Qudeih, a 17-year-old student in Khan Younis sustained serious wounds after she was hit with Israeli fire at her school in the southern Gaza Strip. Israeli forces opened fire of Qudeih along with several Palestinian farmers on Monday morning in a field next to Khuza'a secondary school. The young woman was evacuated to local hospital. Eyewitnesses reported that the fire seemed random and causeless, as the farmers tended olive trees and students walked to class. Palestinian factions see such assaults as violation of the truce between Israel and Palestinian factions in the Gaza Strip. 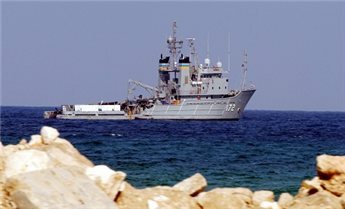 Another violation was recorded a few days ago when Israeli warships fired at fishermen in their boats in Rafah, no casualties were reported. Right wing Jewish settlers smashed several head-stones and splashed paint over several others in the Ar-Ras Muslim graveyard in the southern West Bank city of Hebron on Sunday morning. The settlers were from the illegal Israeli settlement Kiryat Arba, which is close to the graveyard. Several other Palestinian properties in the neighborhood were also vandalized, and more than 25 car tires were punctured. According to the Israeli daily newspaper Haaretz, the attacks came as retaliation for the evacuation of a settlement outpost established by Noam Federman, close to Kiryat Arba. The settlement, reported to have been a farm of sorts, was evacuated several teams of Israeli forces including military, police and border guards early on Sunday. Angry settlers had thrown stones and assaulted Israeli officers and called for a counter attack. Three were arrested during the incident. Hebron resident Bassam Al-Ja'bari explained that he, his family and neighbors are "assaulted by settlers almost every day, especially those settlers who occupy Ar-Rajabi building in our neighborhood." Al-Ja'bari also noted that Israeli soldiers do not protect Palestinians from the aggressive setters, but rather "partake in their assaults on Palestinian citizens and their properties."